Printable dog mask template, patterns, worksheets + activities! Meet Vincent and his printable dog mask! Be a dog in no time! 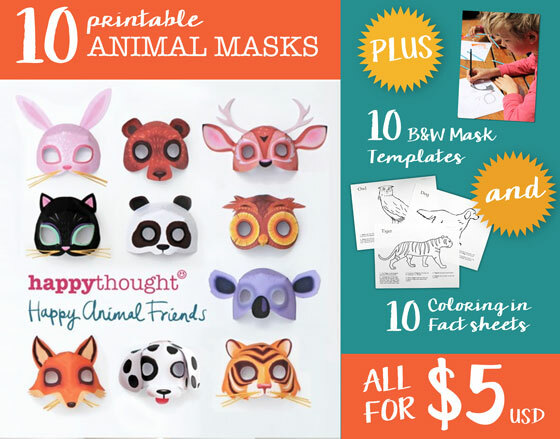 Make your own printable dog mask, part of our Happy Animal Friends 3D printable mask set. They’re very easy to make and our kids had so much fun with these mask templates. We’re sure yours will too! Great for dressing up easy animal costume ideas, parties, school plays and activities or for some fun on a rainy day! You will need scissors, a glue stick, masking tape and some ribbon. First, print out your Happythought template. For a longer lasting mask, print your dog template on to a slightly heavier stock paper. Carefully cut out the main mask template, eye holes and ears. Glue the middle panels together with your glue stick and secure on the back with a small piece of masking tape. Now to add the ears. Glue ears in place on top of the mask as shown. Next, fold the dog’s nose forward. Attach a length of ribbon to either side of your mask. You can glue it in place, then stick with masking tape for a firmer hold. 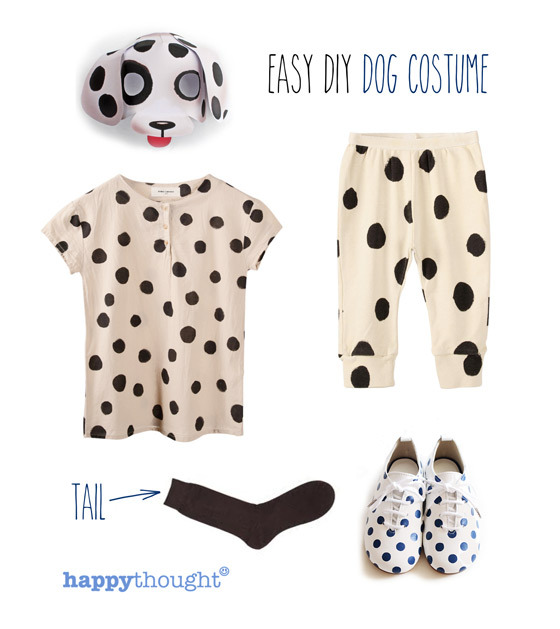 Throw together a spotty dog costume using items clothing that you have at home. Top it off with our easy assemble printable dog mask template! Great resources for parents and teachers: 10 make your own animal masks, 10 animal mask color in pages and 10 animal fact color in sheets. 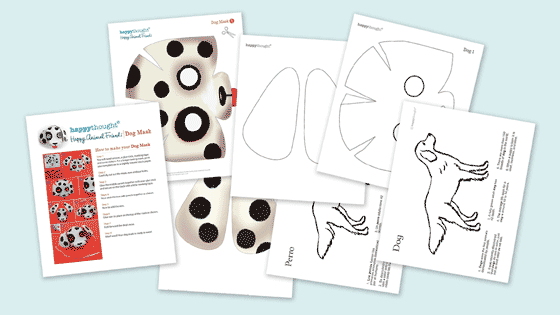 Dog worksheets: Printable mask templates, coloring in + animal facts! Buy the dog mask templates, b/w mask templates, coloring fact sheets as part of our Happy Animal masks pack. 1. Dogs were the first animals domesticated by people. 2. It was recently discovered that dogs do see in color, just not as vivid color as we see. 3. A fully grown adult dog has 42 teeth. 4. The average life span for a dog is around 10 to 14 years. 5. There are more than 150 breeds of dog in the world. 6. When a puppy is born it is deaf, toothless, and blind. We hope you enjoyed this DIY dog mask, color in sheet and 6 dog animal facts! How do I get this cool animal mask template? Great dog mask!!! Hello, please could you email my a 3d dog template mask. Thank you! 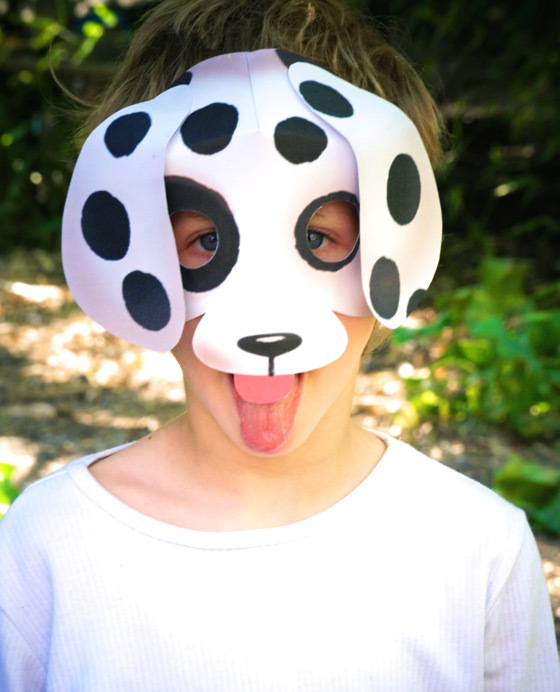 Great printable dog masks for my kids!! Thanks for the templates. I would love to use your 3D DIY printable dog mask template for my class’s 101 Dalmatians parade. Thank you! 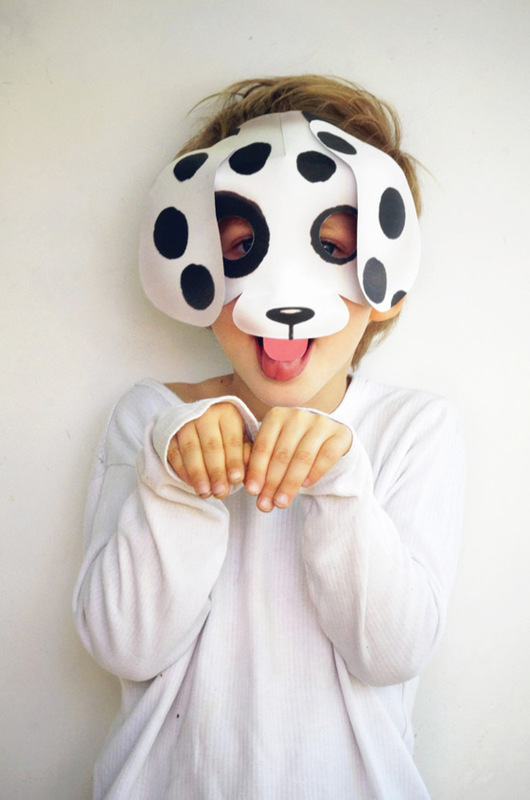 Love this printable paper dog mask – Perfect for our after school art club! Hi, my son (kindy Student) has a project and needs to make 3D Animal Masks, and he would like the Puppy Mask. 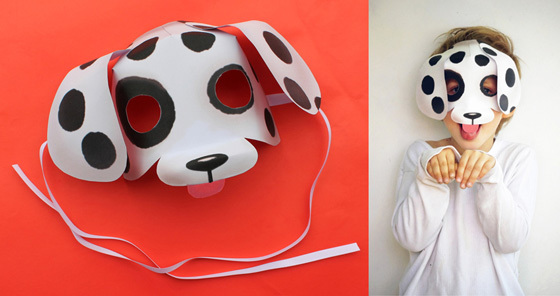 I would love to use this printable dog mask! Thanks for the great printable dog mask template idea. Keep it up! Please send me this great dog mask template. I want to print and make 30 for my class art project tomorrow! Thanks for the cool and easy to make dog mask templates, my kids in the class are crazy for masks!